Typo launched in early 2014 with investment from Ryan Seacrest, but not even its big-name backers could prevent BlackBerry from taking the company to court. BlackBerry’s signature smartphone style includes a physical QWERTY keyboard, which Typo put in its $99 iPhone 5 and 5s cases. BlackBerry sued Typo for patent infringement in March of last year and successfully had the product blocked. 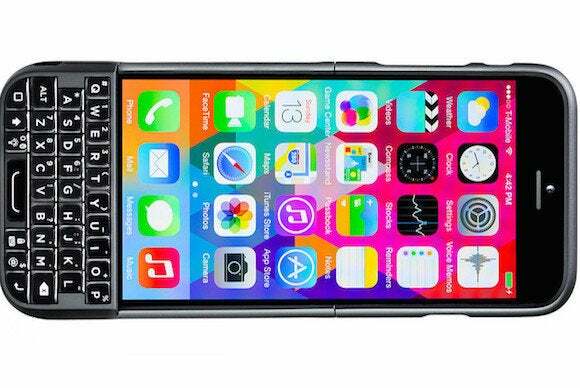 Typo argued that no one who actually wanted a BlackBerry phone would buy an iPhone case instead, but BlackBerry wasn’t convinced. On Monday, the two companies finally settled their legal beef, with Typo agreeing to cease smartphone case sales around the world. The company can still make cases for devices larger than 7.9 inches, so that’s something. Typo is still selling keyboard cases for all models of the iPad Air and iPad mini. Why this matters: It’s unclear whether Typo was actually popular or if there’s any real demand for physical iPhone keyboards, but while BlackBerry isn’t exactly a star on the rise, patents are patents. Somewhere, Ryan Seacrest is surely moping.